It’s hard to overestimate the impact of student debt on the economy. It makes young people delay all sorts of major life events, from buying a home to getting married andhaving kids. 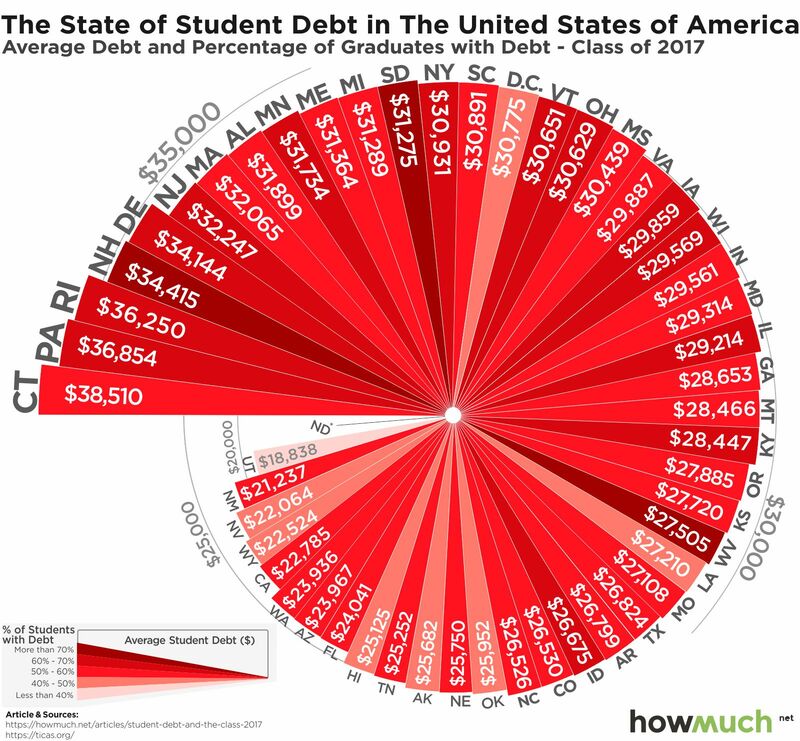 But not every college graduate bears the same debt burden, and in fact a lot has to do with the state where they graduate.